Having at last sampled a Honda S2000 for the first time not so long ago, there was one standout part of the car that kept me smiling for days to come. I’m talking, perhaps predictably, about the 2.0-litre inline-four and its heroic 9000rpm red-line. Revving that 240bhp right the way up to its lofty ceiling is a joy unmatched by any other inline-four I’ve ever experienced, and indeed many other engines with more exotic layouts. 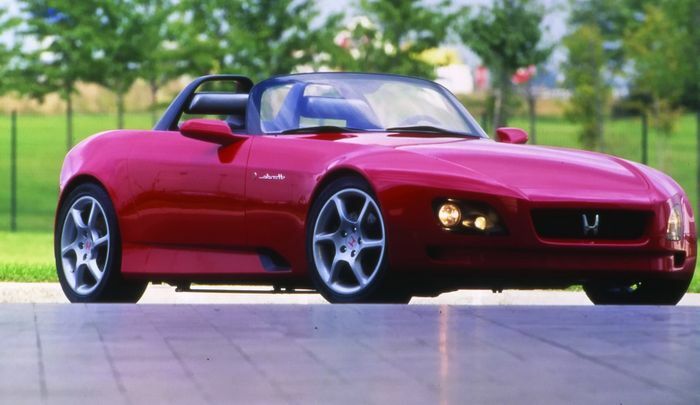 But the concept that spawned the S2K had something a little different under the bonnet: an inline-five. 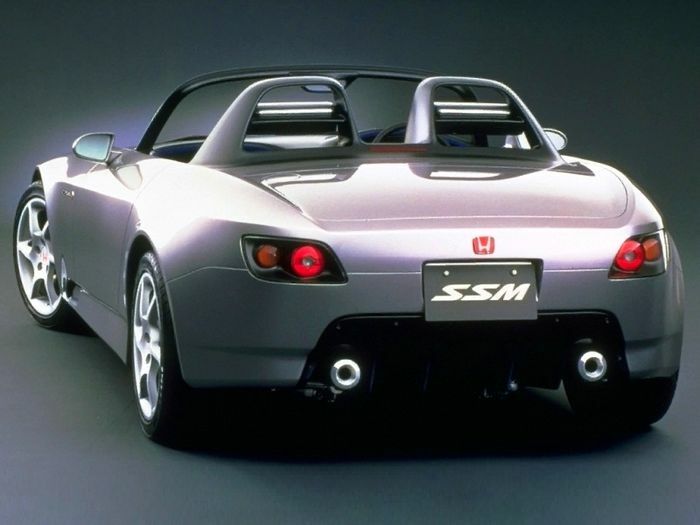 The Honda SSM (Sport Study Model) made its grand debut at the 1995 Tokyo Motor Show. Far from a production-ready concept, it featured a plethora of outlandish details like a complete lack of a roof and separate ‘pods’ for the driver and passenger. The low-slung headlights are an odd look, too. But for all its quirky and unrealistic details, it’s still instantly recognisable as a relative of the S2000. 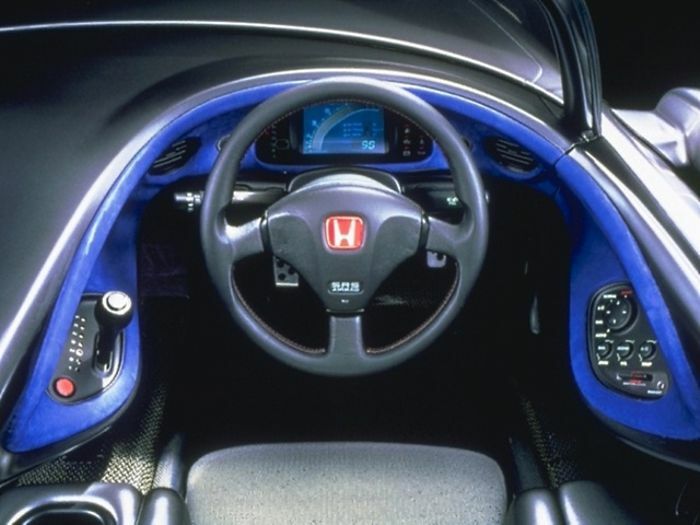 The exterior proportions are uncannily similar, and the S2000’s cockpit would even take elements of the SSM’s wraparound driver’s ‘pod’, including a fancy digital dashboard. Under the long, smooth bonnet was a 2.0-litre, 20-valve naturally-aspirated inline-five engine, shown in the promotional video above to have a slightly less zingy 8000rpm red-line. It was hooked up to… an automatic gearbox. Not much of an issue today where brutally efficient autos are fast becoming the norm for performance cars, but this was 1995, remember, when ‘slushboxes’ really lived up to that nickname. The ‘box in question was derived from the ‘F-Matic’ transmission used at the time in the NSX, albeit packing five speeds rather than four. You could swap cogs yourself, however, using a little shift lever. The gearbox wasn’t the only thing the SSM borrowed from the NSX, and thankfully, the next element engineers pilfered from the supercar was a more welcome addition: the front and rear aluminium double wishbones. The 1995 Tokyo show wouldn’t be the SSM’s only public appearance. It went on to be showcased by Honda on multiple occasions over the next few years, almost as though the Japanese company was teasing the world, much as it would later seem to do with the second-generation NSX. 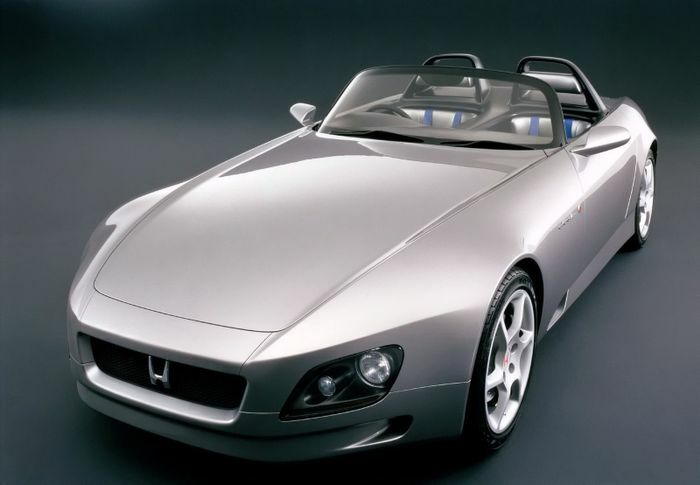 Thankfully, those yearning for a new Honda S car were finally rewarded for their patience when a production version dubbed ‘S2000’ arrived in 1999. Styled by Daisuke Sawai - the same guy behind the SSM - it was extensively toned down, losing the cockpit enclosures, the huge rear diffuser, and the outlandish rollover hoops, but the shape - particularly from the front three-quarter view - remained much the same. Crucially, it kept a front/rear double wishbone suspension setup. The 2.0-litre inline-five became that 2.0-litre inline-four I was waxing lyrical about earlier, mated to a six-speed manual gearbox, rather than an auto. A decision that worked out rather nicely, because the S2000 has one of the best manual shifts of any car in automotive history. It’s been nine years since that car went out of production, and although rumours of a successor crop up from time to time, the rather limited current sports car market makes such a machine seem unlikely. 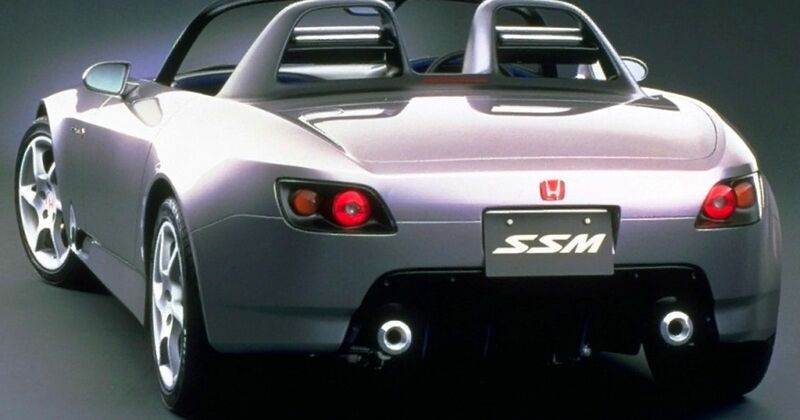 Then again, Honda did bring out that S2000-like Vision Gran Turismo concept last year, so who knows - perhaps the story of the SSM might be repeated, and in three or so years we might see a production version. Or perhaps we’re just thinking wishfully.